What Are “Get Paid To” Websites and How Do They Work? If you’ve been looking into the world of “make money online” opportunities for any length of time, you’ve probably come across a number of GPT (or “Get Paid To”) websites. These are sites that pay you to complete certain tasks, which could be anything from taking surveys, to watching videos, to searching the internet. In this article, I’ll be answering some common questions people have regarding GPT sites. I’ll also be going over their pros and cons and whether they’re even worth your time or not. Alright, let’s get started…. How Do GPT Sites Work? GPT sites are pretty simple really. After you join, you’ll have several options to start earning money, and these options depend on each individual site itself. A couple things almost every GPT site has are paid surveys and paid offers. These are simply market research surveys conducted by third-parties through a GPT site. The surveys vary in length, some lasting only a few minutes, and some over an hour. Surveys pay according to the time you spend on them, but you should be aware that it’s far less than minimum wage. We’re talking pocket change here. Another problem with paid surveys is that you won’t always qualify for a survey, and may only be notified of that fact after spending a long time on it. In fact, I’ve found that qualifying for surveys is pretty rare and it’s actually a lot more common to disqualify from them. If you want to know more about paid surveys, I wrote a more in-depth article about them which you can read here. This is where you can get paid to sign up for email lists, free trials, other websites, etc. Oftentimes, you actually have to pay for a product as well. Paid offers are one of the fastest ways to make money with a GPT site, because usually it just requires you giving out a bunch of personal information – and sometimes even your credit card info – in exchange for several dollars and perhaps some spam. As you can probably tell, I’m not much of a fan of paid offers, but they are a good way to make some pocket change if you have a genuine interest in completing them. I also wrote an article about paid offers and my stance on them, which you can read here if you’d like. Like I said earlier, paid surveys and offers are probably the most common way to earn money from a GPT site, but there are plenty of GPT sites that offer a variety of other ways as well. Below is a list of some of these ways. Keep in mind that these options are not available on all GPT sites. Get paid to watch videos – This just means you need to have a video you probably couldn’t care less about playing on your computer or phone for a while. Usually you get paid a couple cents for every 5 or 10 minutes of running the video. Get paid to play games – Most of the time, you can only get paid to play games by actually making in-game purchases – which sort of defeats the point. But some websites, like Swagbucks and Earnhoney, allow you to earn a couple cents every so often just for playing simple games in your browser. Search the web – Some GPT sites have their own browser, and will reward you with a few cents every now and then for using it. Swagbucks is most famous for this feature, and for good reason: I’ve made over $15, and recently got paid $1 for a single search! Watch TV – Yep, you can actually get paid to watch television these days. However, it’s not your usual TV where you can select different channels. It’s just the GPT site’s own “TV” and is pretty much all promotional stuff. In most cases, you’ll earn about the same amount from this as with watching videos. Print and use coupons – A few GPT sites offer the option to print out a variety of different grocery coupons, and for each one you print out you’ll earn $0.10 or so. These are a win-win – you save money with the coupons, PLUS earn a few cents just for printing them out! Listen to the Radio – Similar to the TV option, you can listen to the radio (which also has plenty of ads) as well. Usually you’ll have to fill out a CAPTCHA code every half hour, and doing so will earn you a few cents. This means you’ll have to be ready every half an hour to claim your earnings. Enter the sweepstakes – This is definitely the riskiest way to earn money with a GPT site, since you have to pay a certain amount of your earnings to enter. But if you’re the lucky winner, you can obviously make some decent cash. Redeem promo codes – Some GPT sites will post promo codes on their social media pages or on their website, and you can redeem these codes by entering them in a code box. Codes are usually worth 2-5 cents each, and are posted once a day. Get paid to read emails – Yet another way to earn a few cents with some GPT sites, is by opening paid emails they send you. You’ll also have to click a link within the email, which will take you to their website for your reward – which is usually 2 cents. Answer daily polls – With this option, all you have to do is answer a single question, and doing so will result in a 1 cent reward. Not very many GPT sites have this option. Complete a list of daily tasks – Again, this is something only a few GPT sites offer that I know of. All it is, is a list of different tasks (like take a survey, complete an offer, watch a video, etc.) and by completing the list each day, you will earn several cents. Shop and get cash back – Okay, so this isn’t exactly a way to EARN money, but you can certainly save some money this way. All you have to do is follow a specific link to sites like Amazon, Walmart and Best Buy and when you purchase something there, you’ll get a small percentage cash back. Refer others to the GPT site – Every member is given a unique “referral link”, which can be posted on social media, on your website, or wherever. When someone joins the site through your link, they become your referral and you get paid. Well, that about sums up my list of other ways to earn at GPT sites. Remember, most GPT sites only offer a few of these options. It’s the rare website that offers them all. If you know of any option I left out, feel free to let me know in the comments below and I will be sure to include it in this post. Hopefully, if you have any questions about GPT sites, they’ll be answered here. If not, please leave a comment below and I will be happy to assist. How can GPT Sites Pay You for All This? GPT sites pay their users for these tasks by sharing their advertising revenue. When you take a survey, or watch a video, or whatever, the GPT site is getting paid. They then share a small percentage of the earnings with you, and keep the rest for themselves. Do GPT Sites Track What You Do Online? Only some of them, and only in certain circumstances. For example, if you’re using one of their paid search engines, then yes, of course you’re being tracked. But Google tracks you as well. Everything tracks you these days, and therefore I personally see no problem with being tracked by a GPT site. Of course, they also track what you do ON their site, and they have your personal information from signing up as well. But again, every site you sign up with has any information you’re asked to provide. How Much Money Can You Make with a GPT Site? It depends. I know this is an unsatisfactory answer, but it’s 100% true. It depends entirely on how often you take surveys or do the other tasks. Plus, some offers pay up to $20 or more but they can only be completed once. So, you can technically make hundreds in a single day from various GPT sites, but from then on those offers will be unavailable and you’ll be stuck only making a few dollars. I know that if you can qualify for a lot of surveys, it’s possible to make $10 per day with this method. But that would require doing surveys literally all day. There are much better things to spend your time on in my opinion than taking surveys all day. Anything else will just earn you a few cents or maybe a dollar or two per day, but again that would require an excessive amount of time. So, technically it’s possible to make some pretty good pocket change every day with these sites, but the time involved is simply not worth the pay. To give you some real numbers, I know of a lot of people who’ve made over $1,000 in one year using just one GPT site. I also know that it’s possible to make upwards of $20,000/year if you spend all day every day on a huge amount of different GPT sites. But I will say it again, the time involved is simply not worth it. You’d be much better off building your own online business, and by working hard you could make far more than $20,000 by the one year mark. Is There a Minimum Payout Threshold on GPT Sites? Yes, unfortunately most GPT sites require that you have earned a specific amount before you can cash out. This minimum can be anywhere from $2, to $50. That means you’ll have to spend a lot of time doing tasks before you’ll see your virtual earnings turn into real cash. The good news is, not every GPT site has a minimum you have to meet. Qmee, which pays you to search the web and take surveys, allows you to cash out whenever – even if it’s just a few cents. (Qmee is one of my favorite GPT sites, by the way). Is there a Different Between GPT Sites and PTC Sites? Yes. GPT sites are known as “Get Paid To” sites, and generally have longer and higher paying tasks than PTC sites. PTC sites, on the other hand, are known as “Paid to Click” sites and they pay their users fractions of a penny for micro-tasks such as viewing an ad for 10 seconds. Some PTC sites do offer other ways to earn, like surveys and offers. These sites, still known as PTC sites, are more accurately described as a hybrid between GPT and PTC. Getting paid for simple tasks online is a legitimate way to earn some pocket change. You can’t expect to make very much though, and it requires a lot of work and a huge time investment in order to earn anything worthwhile. Oftentimes, you’ll have to give out tons of personal information which can be uncomfortable and should be avoided if possible. I personally only use the passive income opportunities within GPT sites, which means pretty much just using their search engine for a few cents every now and then. Another way to earn some passive income is by letting a playlist of videos run while doing other things. However, it’s not entirely passive as you’ll have to manually start a new playlist every so often. In my honest opinion, anything that’s not passive is just a waste of time. 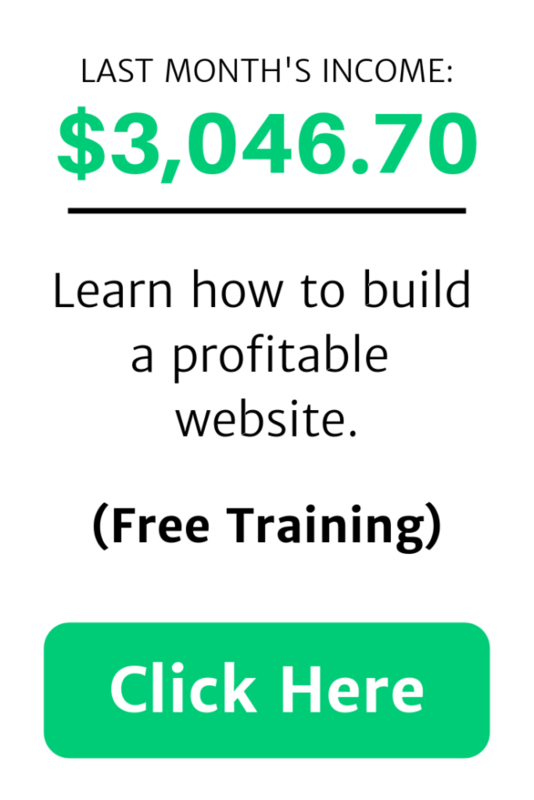 I only have so many hours in a day, and I’d much rather spend my time building my own online business, which has absolutely no limit on earnings potential. Have you ever tried any GPT sites? What was your experience? Feel free to leave a comment below, and if you have any questions, I’d love to help out! Serious about Making Money Online? Click Here to See My #1 Recommendation! Thank you so much for this really comprehensive article. I’ve signed up for a bunch of these sites and I agree with you, mostly they’re a waste of time and the work is mindless. I’ve also found that most of the sites I’ve checked out have no paid surveys or tasks for my country, South Africa – I think if you live in the US there’s a lot more scope and perhaps an opportunity to make real money. Having said that, I have made $70 from website testing (2 tests so far, took about 45 minutes each) through Userlytics, so that was quick, easy money. Would I want to do this full time for a living? NO. I’m in the US, so the surveys and offers always work but I have heard that people outside the US can’t access certain GPT sites. This is just on a site-by-site basis though, as some are ONLY available in the US, while others are available worldwide. However, even in the US the opportunity to make real money is possible, but it’s extremely time-consuming. It’s great to hear you were able to make $70 with Userlytics. I actually know someone in real life who’s made a decent amount with UserTesting, which is a similar service. Usability testing is definitely a lot more lucrative than taking surveys or watching videos!